Facts about Planigales. "Scientific name for Planigale is Planigale". Planigales are found among the planigaline sub-family that consists of seven species. All the members of this sub-family are very small. They usually range from the over 10 grams Gile planigale to the smallest, long-tailed planigale that weighs approximately 4 grams. Most of them are about half the size of an average mouse and on average, are approximately 8 grams. They resemble antechinuses, dunnarts, the Tasmanian devil and quolls among many others. 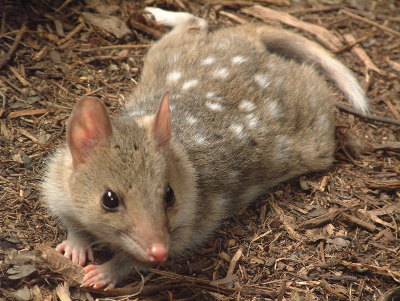 Planigales are known to be very small marsupial carnivores. These species are known to have a broader, flattened head about 2 to 4 millimeters and a wide deep skull. However, the long tailed planigales have an extraordinary type of head shape. Majority of these planigales use their heads to squeeze into soil cracks to hide from predators or search for its prey. Most planigales may have a combined body length that may vary from 55 to 65 millimeters, with a tail of similar length. The long-tailed Planigale resembles a very small mouse which has a long, bare tail. In addition, it has a pointed muzzle and a nondescript variable brown skin. Their forelegs are usually a little bit smaller that their hind legs. This enables the Planigale to stand semi crouched on their tails and hind legs. Most planigales are nocturnal carnivores. They are popularly known to be hunters by night and rest during daylight. The Planigale only at night that these animals become fearless and so active. They are popular for preying mostly on small lizards, insects, and young mammals almost its size, insects’ larvae and grasshoppers. Some planigales are found in tropical areas in the north parts of the continents, while others are found in the arid or semi-arid areas. The long tailed planigale specie is usually found in northern parts of Australia including Brunette Down and Townsville in Queensland. It is only during the recent years that it has been discovered that the Planigales may be a distinct group within the Dasyuromorphia.